The Common Core State Standards require students to do more with knowledge and language than ever before. Rather than be mere consumers of knowledge, students must now become creators, critics, and communicators of ideas across disciplines. Yet in order to take on these new and exciting roles, many students need daily teaching with an extra emphasis on accelerating their academic communication skills. 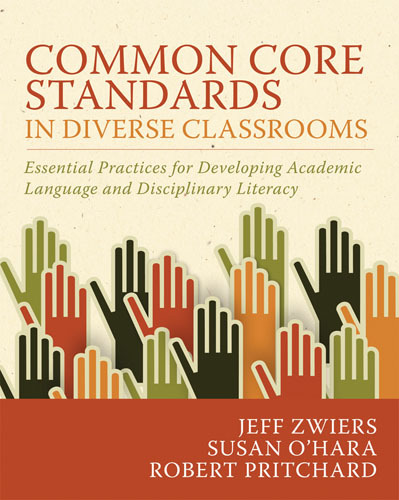 Common Core Standards in Diverse Classrooms is a concise guide for helping us improve our practices to strengthen two vital pillars that support student learning: academic language and disciplinary literacy. Jeff Zwiers teaches in the Stanford Teaching Education Program and works for Stanford's Center to Support Excellence in Teaching. He received his EdD from the University of San Francisco and has taught English, Spanish, science, and history in high school, middle school, and elementary school. Susan O'Hara is executive director of the Center for Cooperative Research and Extension Services for Schools (CRESS) at the University of California, Davis. Robert Pritchard is a professor of education at Sacramento State University. 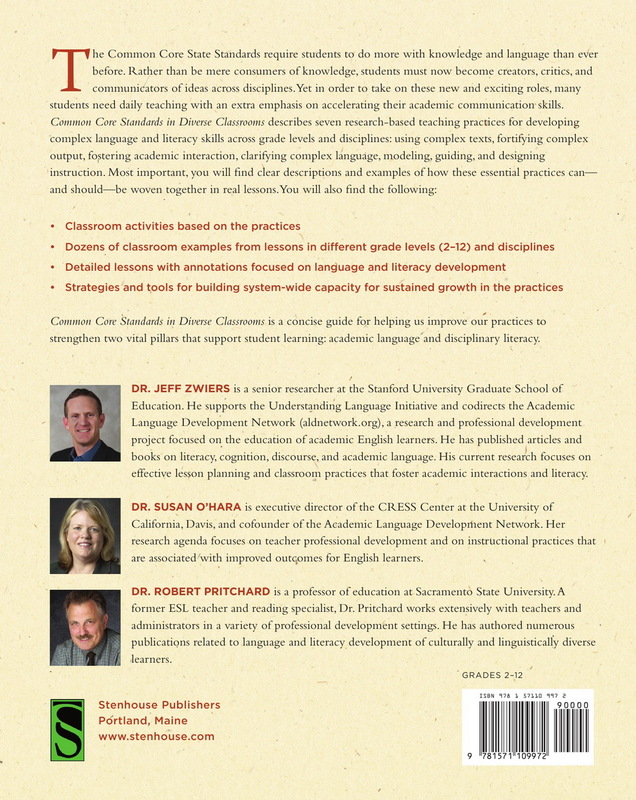 A frequent consultant for schools, districts, and departments of education, Robert brings extensive experience as a former ESL teacher and reading specialist to his work with teachers and administrators.